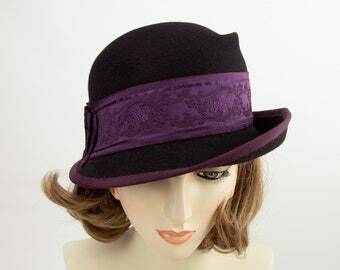 Royal Purple Pillbox Hat with Pleated Ribbon Trim. 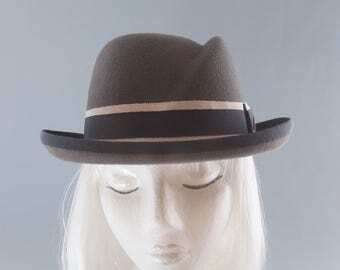 Women's Wool Hat. 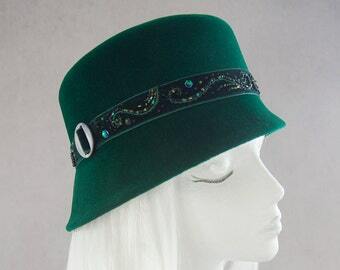 1960s Style Headpiece. 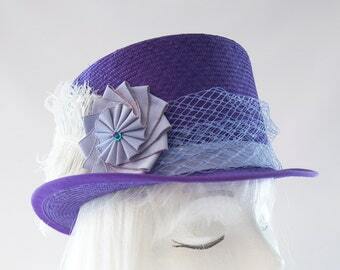 Vintage Style Violet Hat with Origami Ribbon. 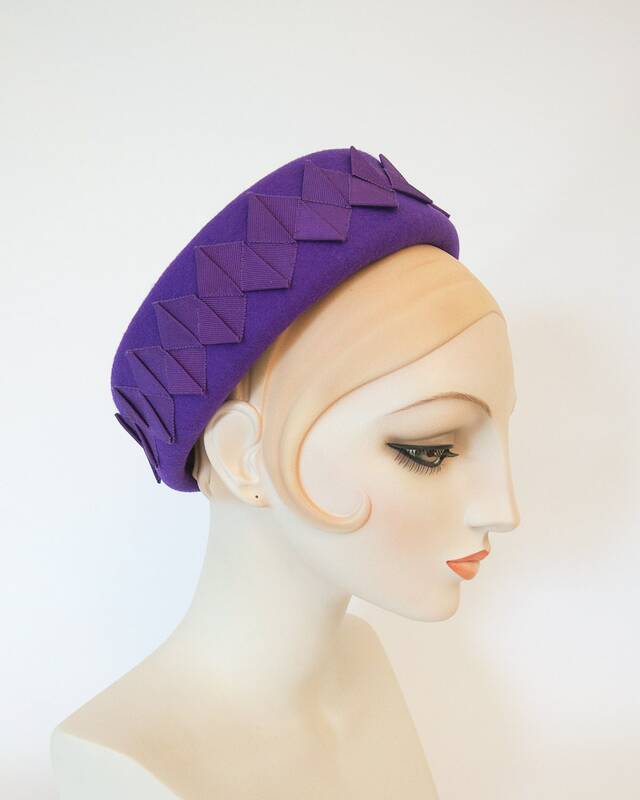 A classic vintage style that's making a comeback: The pillbox hat. 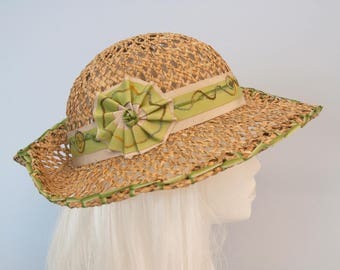 The shape and color of this hat take center stage, while the pleated ribbon adds just enough decoration. Purple 100% wool felt, vintage felt. Notice the vintage stamp inside! But this hat is entirely newly constructed. Blocked by hand on a vintage wooden hat block. Origami ribbon in a diamond, zig-zag arrangement decorates the outside edge. 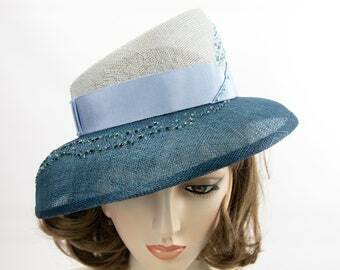 Finished inside with a navy blue comb, dark navy grosgrain ribbon and Silverhill Creative Millinery brand label. Inside front edge has a comb to help secure it to your head. This item uses calculated shipping, so the shipping price is exactly what it costs to send it based on your location! Ultra Violet Beret. 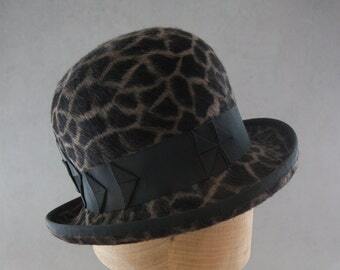 Velour Fur Felt Hat with Black Beaded Bow. 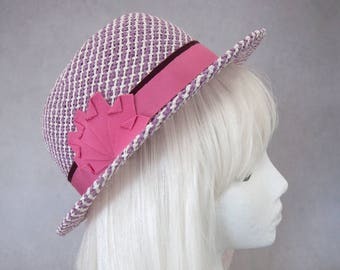 Purple Hat for Girls. Couture Millinery. One Size Fits All. 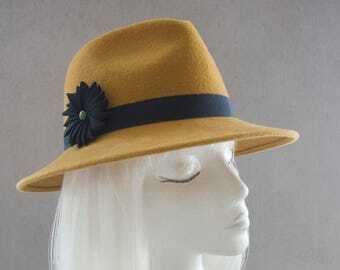 Cute Felt Beret. 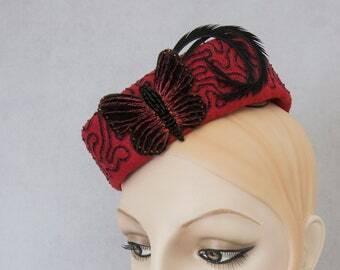 Ready to Ship Bridal Fascinator. Hand Beaded Cocktail Hat w/ Seed Beads, Pearls and Vintage Fabric. Wedding Headpiece. 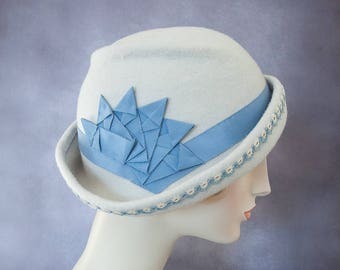 Millinery for Bride.